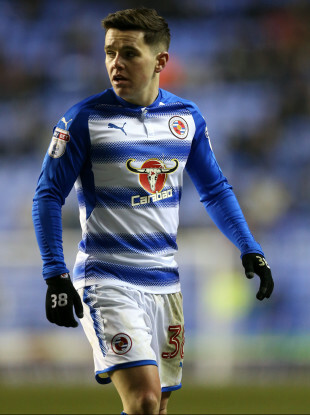 Reading midfielder Liam Kelly has been speaking about turning down a call-up to the Ireland squad. READING’S LIAM KELLY was called up to the Ireland senior squad for last month’s international friendly against Turkey. O’Neill told of how he made several calls to the 22-year-old that went unanswered, before eventually receiving a text message from the player. Speaking to the Reading Chronicle, Kelly has now explained that he made the choice because of a “personal reason”. “It was a personal reason, it was nothing against Republic of Ireland,” he said. “It had nothing to do with feeling English or Irish, it was a personal thing between me and my family which we thought was best. Former Ireland U21 international Kelly also left the door open and when asked if he could one day line out for the Boys in Green, he replied: “We’ll see how it goes”. Email “'It had nothing to do with feeling English or Irish, it was a personal thing between me and my family'”. Feedback on “'It had nothing to do with feeling English or Irish, it was a personal thing between me and my family'”.